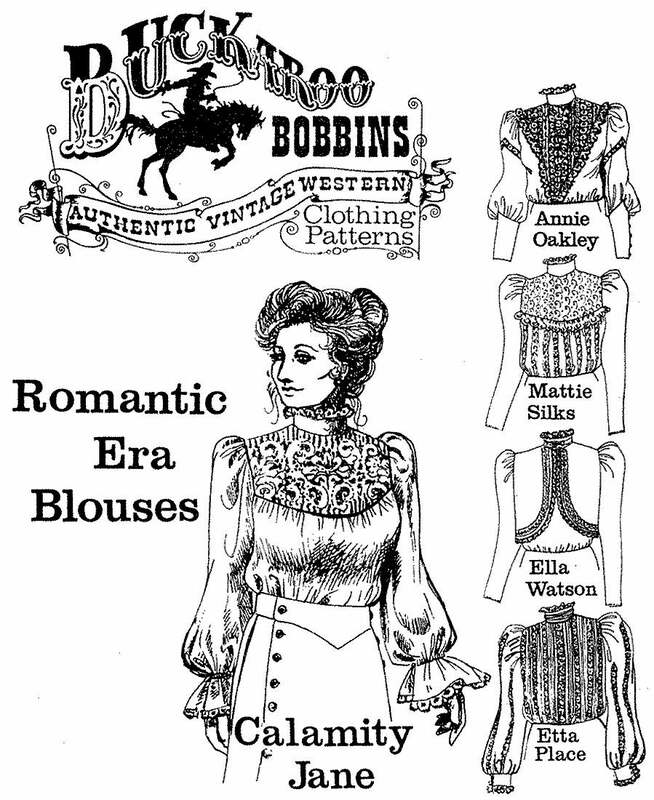 Illustrating the high-necked, elegant, timeless style of the late 1880's and 1890's, these blouses are still quite an addition to any contemporary wardrobe. Over-decoration was a sign of status and wealth during the Victorian age, and too much lace trim was considered to be not enough. This pattern package includes easy-to-follow, illustrated instructions for optional crochet lace trim along with five different styles and all in sizes from 6-24. The styles are named after famous ladies of the Old West. 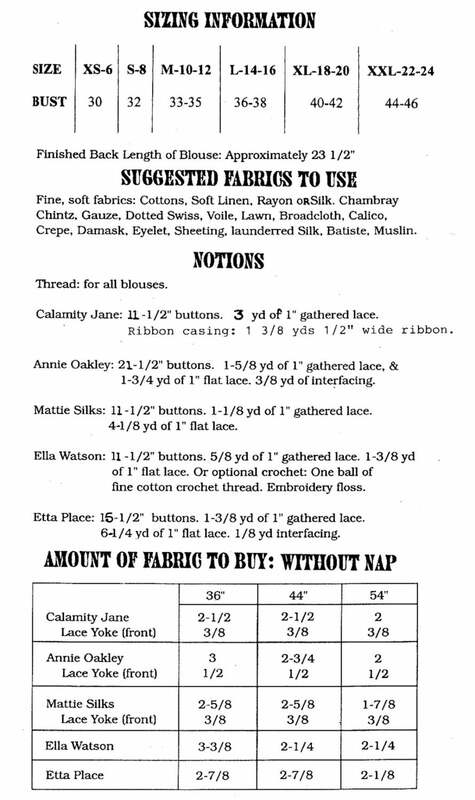 Calamity Jane, Annie Oakley and Mattie Silks blouses have lace yoke front. Ella Watson and Etta Place blouses have lace trim.